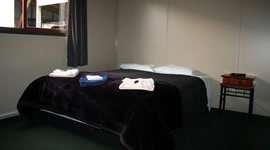 We have numerous rooms to suit your needs. With a range that goes from family rooms through to bunk rooms, we are able to cater for the solo traveller right up to large groups. Rooms are priced from only $40 per night. Please call us to book a room that suits your requirements. Visiting us here at McManus Hotel will be like relaxing in your own home, but with all the advantages of having a fully-stocked bar and restaurant at your doorstep! 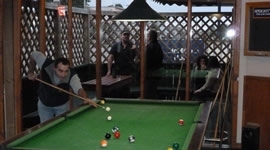 Big screen TVs, a pool table and a gaming room all help to make this a fun place to visit. 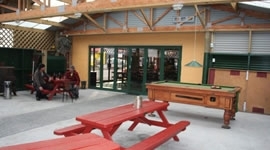 Our outdoor area is private and large enough to accommodate any size group. It is sheltered from the weather and has a wide screen TV, pool table and plenty of room to mingle. Have a great time with your friends or mingling with the locals. In the winter our rooms and bar are cosy and warm, whilst in summer they are wonderfully cool. No matter what time of year you visit, we will make your time here very comfortable. This is the perfect place to stop, stay and play.